This is the second book of a series of four books and the first of those that I’ve read. I hadn’t even heard of this book before I got this as a present. However the back cover mentions a space program and the disappearance of a spaceship, so I figured it should be right up my alley. It was in a way. If you’ve read Andy Weir’s “The Martian”, then you might like it. In my view it’s kind of the movie “Moon” put together with The Martian and some extra dark substance. So the premise – there’s an anomaly – something no-one knows anything about, except that it’s dark. And there’s the second mission going to investigate it several years after the first mission there disappeared. I think that this book is interesting from the psychological side of things – what and how the members of the crew do and how do they deal with things, but ultimately it’s about sibling rivalry and (read it with the voice of The Sorting Hat) “a thirst to prove yourself”. To not give anything away that’s how far into the plot I’ll go. Have to say I’m quite curious to know what happened in the first book (although it’s not necessary to read the first one before this one) and what will happen next. Possible spoilers coming up! Highlight at you own peril. There were a couple of things that bugged me – maybe they were or will be addressed in the previous/next books – it’s the physical nature of the anomaly, the closed time-like curves, communication-speed with Earth and the stars that they’re passing by. 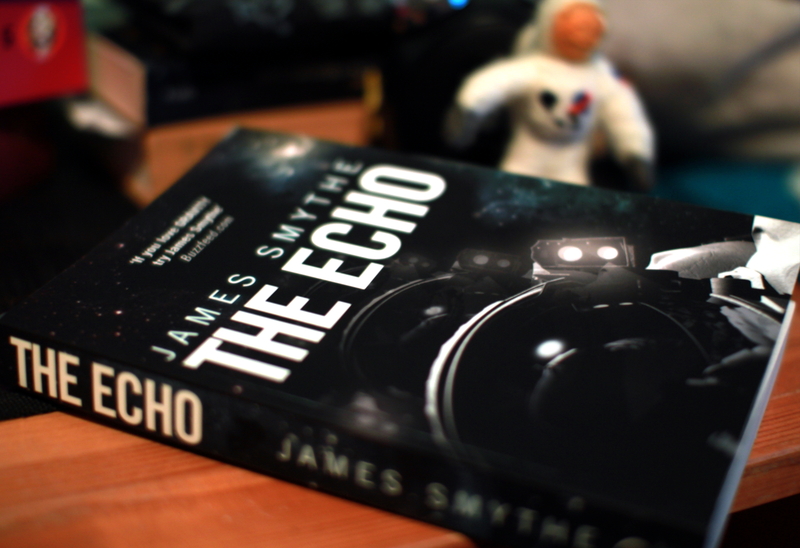 This entry was posted in Fiction, Science Fiction and tagged book review, books, James Smythe, The Echo. Bookmark the permalink.